The Loom Bands Kit has 2 looms. Each looms is somewhat smaller that most looms, however the two of them when they are combined create a full size loom. Each loom has 3 columns of pegs with 6 pegs in each column for a total of 18 pegs per loom. When combined, you have double that, so 32 pegs. This kit comes with 2 looms, 1200 elastics, 50 "S"-Clips, and a loom tool. 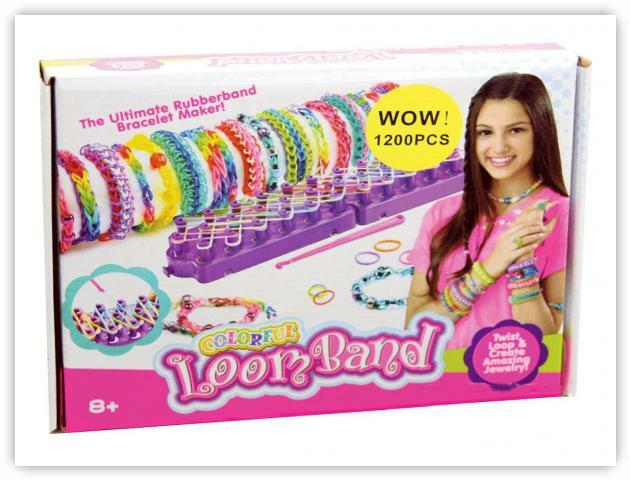 The Loom Bands kit is available at Mr Toys Toyworld in Australia.